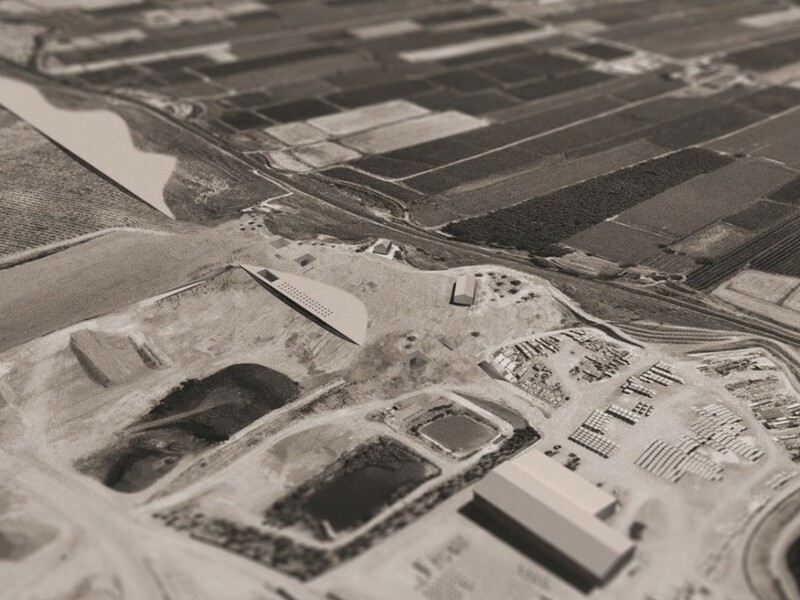 Planta is located in the quarry “La Plana del Corb” close to Balaguer (Lleida, Spain) and follows the contours of the hills that define the boundary between the higher plateau and the surrounding agricultural landscape. 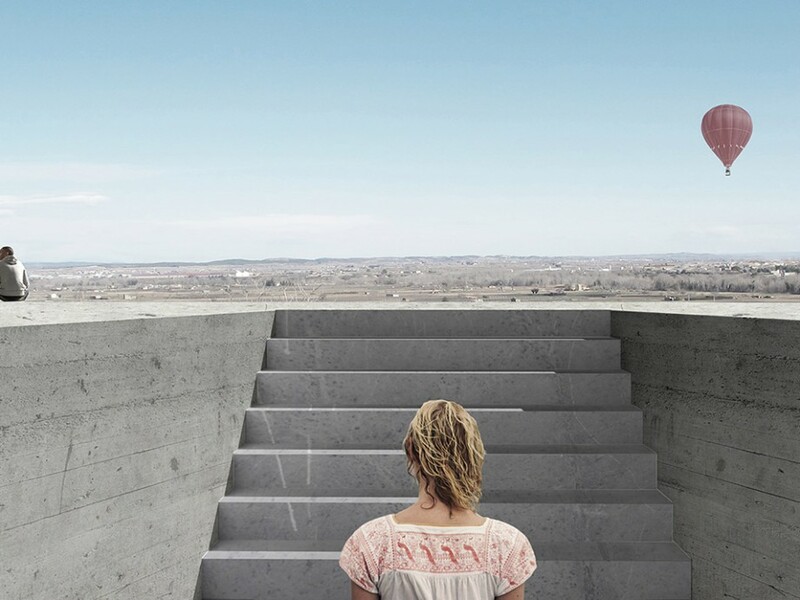 The design is a platform in the quarry, becoming a fixed point in the ever-changing landscape. Inside the platform is the structure that houses a private collection. It is the story of the collectors, the landscape, family traditions, and the focus of their joyous obsession: contemporary art and its exposure to a young public. There are three areas: visitor entrance and warehouse, collection hall and staff entrance. All are connected by multiple circulation routes. The collection space is subdivided into three blocks with specific themes. 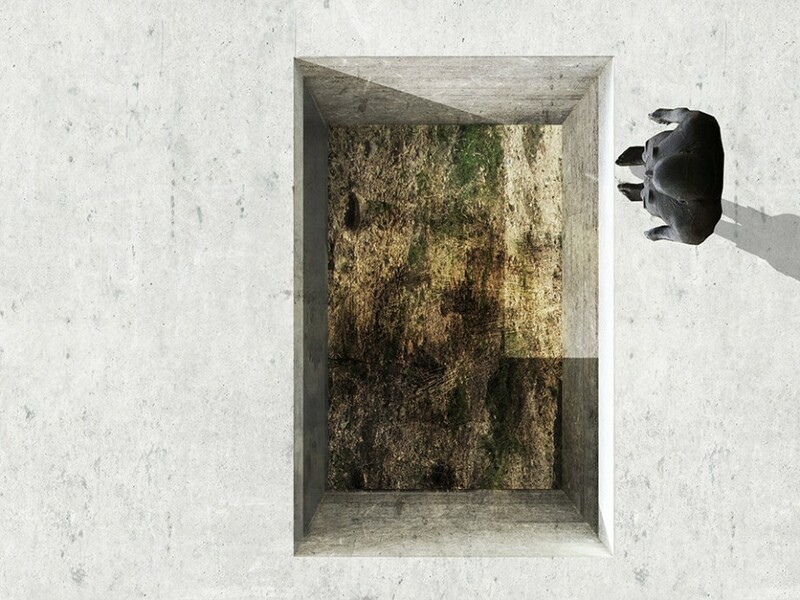 Here black and grey rooms are ‘excavated’ to create Curiosity Rooms with spontaneous openings to alleyways that cut through the main outer wall to interact with the broader picture. 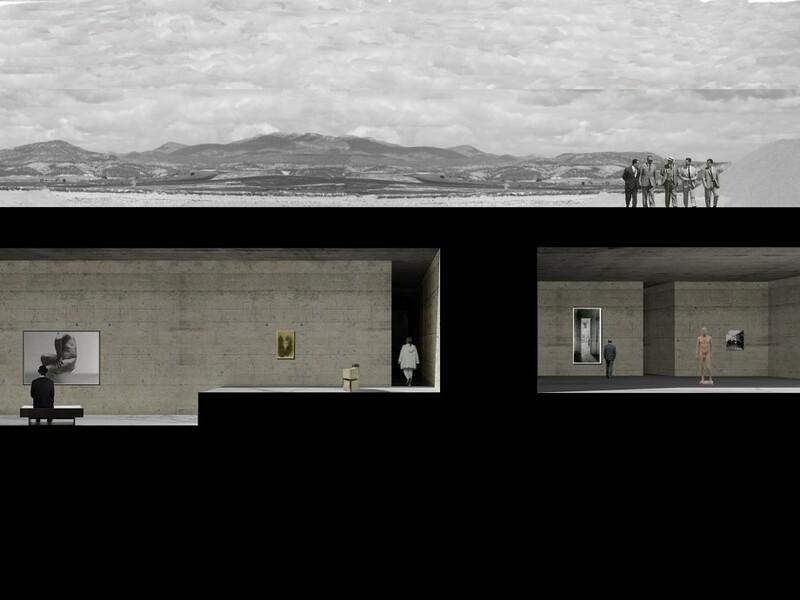 The thickness of the walls here transforms a simple wall into a room and the visit into a physical experience.